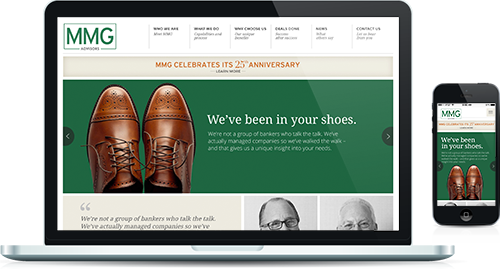 I have over 20 years experience designing and developing intuitive and compelling websites. Working with small independent artists to large industrial firms, my experience and expertise play a vital role in the delivery of each project. I specialize in project management, user experience and website development, and have lots of experience with design in both web and print. If you are a designer or design studio looking to partner with a seasoned full-stack web developer please email me at hello@smoller.com. 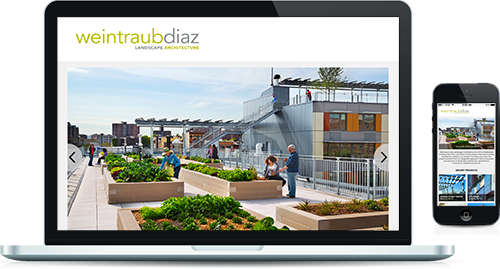 Working with Russell Design, I was hired to build the website for this award-winning landscape architecture firm. Mobile-friendly, with a custom CMS on the backend, we developed an online presence to help them reach a wider audience more effectively. Chuda Healing Hydrating Cream is based on a centuries old Georgian (Russia) remedy said to have cured Italian hero Giuseppe Garibaldi's wounded leg in the mid 1800s. 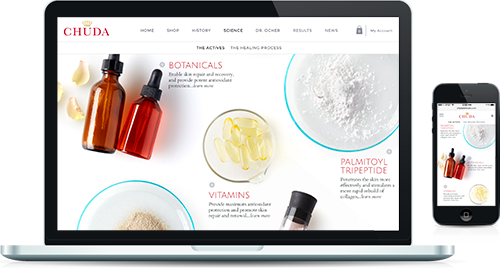 I worked with designer Lauren Webster to create this dynamic and responsive website, with CMS and Shopify store integration. 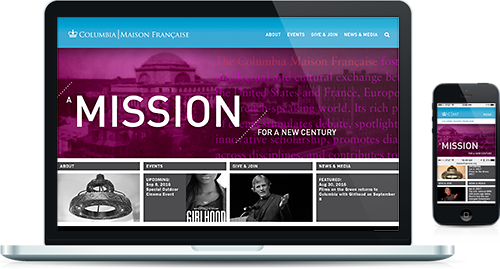 Working with designer Marc Blaustein, we created this clean and easily navigable website for Columbia's Maison Française, a more-than-a-century-old institute that fosters intellectual and cultural exchange between the US and France. Prior to working on their main website we created a website for their centennial celebration, in 2013. MMG Advisors provides investment banking, strategic and financial advisory services to clients in the retail, fashion, textile, home, jewelry and beauty sectors. Working with designer Lauren Webster, we created a clean and professional website to help them promote their business. A custom CMS helps keep them up to date. I have relationships with several award-winning design studios, from New York to San Francisco, who find that hiring a web development team full-time doesn't fit within their operating budget. When they land a project that requires a web component, I am able to come in and round-out their services offering. This gives them the edge in competing for projects with other studios, without adding to their overhead. Working with web developers in the past, we've run into numerous situations of being told one thing and getting something else. Beyond the fact that Alex has the ability to design as well as build websites, our studio has found dealing with him refreshing in that he really works with us in figuring out the best approach to each project. When he delivers (on or ahead of schedule) we get exactly what we hoped for. Working with Alex is a pleasurable and successful experience. Whenever Alex is not riding his BMW motorcycle, he is there for us. Either in his office, at home, or sitting in a Starbucks café making emergency changes that the client requested 20 minutes before launching a new site. Alex is a great developer to work with: a creative problem solver who is extremely patient with predominantly picky print designers who refuse to use system fonts for the web. We Muccans love working with him (the next projects are already lined up so don't steal his time!). Please do not work with Alex Smoller. He is professional and consistent, his code impeccably clean and his work ethic outstanding. I would rather not share the fact that he is someone who delivers on his promise, goes above and beyond for the call of perfection, and is actually a pleasure to work with. If you are looking for a developer who really knows the business and is a partner in creating outstanding solutions, you have found him. Don't spread the word. We designers can afford to be unkempt, space-cadet, artiste-types. But when it comes to turning our designs into tight, functional websites for our clients, we need rockstar developers like Alex on our team. Meticulous, highly-knowledgeable, super-reliable—this guy delivers. And unlike developers you may have worked with in the past, Alex is articulate, sociable, and an ACTUAL pleasure to work with. Sure, he doesn't wear a cape, speak Vulcan, or drop "Lord of the Rings" references, but what he DOES do is take your layered photoshop files and turn them into pixel-perfect websites. When I was looking for a web developer I was surprised by the incompetence and approximation I found. Luckily I met Alex, who is competent and truly knowledgeable, reliable and fast, and is of course a good developer. He knows what's appropriate, and what's a superfluous gimmick. Thanks Alex!